Chartered Institute of Logistics and Transport (CILT) held their International Convention in Macao from June 11 to 14 at Sheraton Grand hotel Cotai Central. One of the world’s most famous free ports, Macao is a fascinating blend of industries and cultures, a jewel on the south coast of China, across the Pearl River Delta from Hong Kong. This year’s theme of the Convention was “Smart Journey – Belt and Road”. The Convention focused on two of the most important developments currently making an impact on the Logistics and Transport industry; the rise of Smart Technology and the ambitious One Belt One Road(OBOR) initiative. CILT conducts its annual Convention in a member country in rotation every year. Sri Lanka hosted the Convention in June 2013 after it became a territory. Women in Logistics and Transport (WiLAT) Forum and Young Professionals’ Forum (YPF) conventions started off in parallel sessions ahead of the CILT International Convention. This year’s Convention was attended by over 250 foreign delegates from 29 of its member countries. The delegates had ample opportunities to interact with International participants representing corporates, academia and government sector and the military and get actively involved in shaping the future of CILT and its industry. 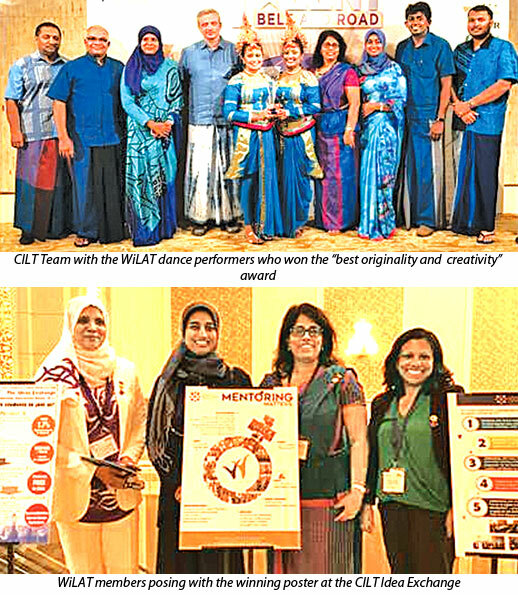 This year’s 11 member CILT SL delegation was the highest Sri Lanka ever attended a Convention including WiLAT and YPF members and was represented by Capt. 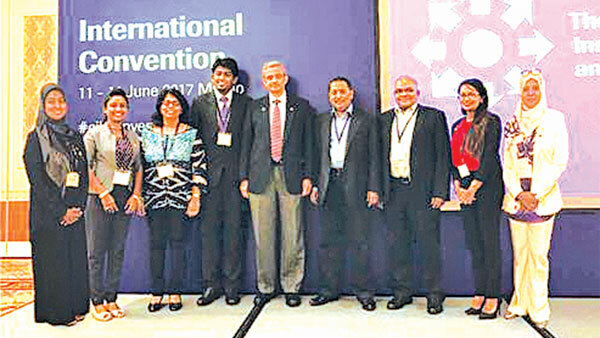 Lasitha Cumaratunga (Chairman CILT SL), Romesh David, (International Vice President)Gayani de Alwis (Vice Chairperson CILT SL), Niral Kadawatharatchi (Immediate Past Chairman CILT SL), Niroza Gazzali (Vice Chairperson WiLAT SL), Amra Zareer (Secretary WiLAT SL), Gayathri Karunanayake (Treasurer WiLAT SL), Biman Hettiarachchi (ChairmanYPF SL), Rishantha Mendis (Member), Manjari Nigamuni (WiLAT ExCo Co-opted Member), Shakkya Perera (WiLAT ExCo Co-opted Member). CILT also awarded a travel scholarship to a young undergraduate mentee from WiLAT to attend the Convention. Prof. De-Rong Wang, Executive Vice-Chairman, CCTA, Prof. Taewoo Paul Lee, RMIT University, Melbourne, Australia, Morris Cheung, President, MTR Academy, Hong Kong, Prof. Kai Hoberg, Kühne Logistics University and Karmjit Singh, Chairman of CILT Singapore were some of the speakers at this year’s Global Convention. Vice Chairperson CILT Sri Lanka Gayani De Alwis was also an invited speaker and she spoke about Sri Lanka’s perspective on Belt and Road initiative. De Alwis mentioned that Sri Lanka is right at the center of the Global east west maritime route with 50% of Global containerized traffic moving pass Hambantota. Being strategically located at the tip of South Asia, Sri Lanka was in the past a natural port of call for silk route navigators. She mentioned that the belt and road initiative will enable Sri Lanka to get connected to International value chains and provide the much needed connectivity required for rapid economic growth in the country. Outgoing International Past President of CILT Paul Brooks was awarded the Pegasus medal for his services and CILT Kazakhstan was awarded territorial status at the Convention. This year CILT convention also had a new segment where an opportunity was given to CILT chapters to show case their best practices at an Idea Exchange. Sri Lanka team showcased WiLAT SL’s globally renowned “Ignite” mentoring program and this initiative won the best entry of the poster competition. The Sri Lankan team also took part in the “We Got Talent” organized by WiLAT Hong Kong for the participants to showcase their talents. Sri Lankan team performed a traditional dance act under the theme “Pooja-a Fusion of Blue Rays” which depicted a blend of cultural dance and music and won the award for the “Best Originality and Creativity”. The delegates also had the opportunity to take part in a technical visit to Hong Kong which included a visit to Hong Kong Airlines, Kwai Chung Modern Terminals, MTC OCC at Tsing Yi and a Tram Ride. The CILT International Convention was an excellent opportunity for networking, to develop new International relationships and share experiences and best practices with colleagues across the CILT Global family. The next International Convention will be held in Wroc?aw, Poland in May 2017. The Institute holds unparalleled International recognition and works towards achieving its objectives of promoting and encouraging the art and science of Logistics and Transport through its membership and its educational qualifications. 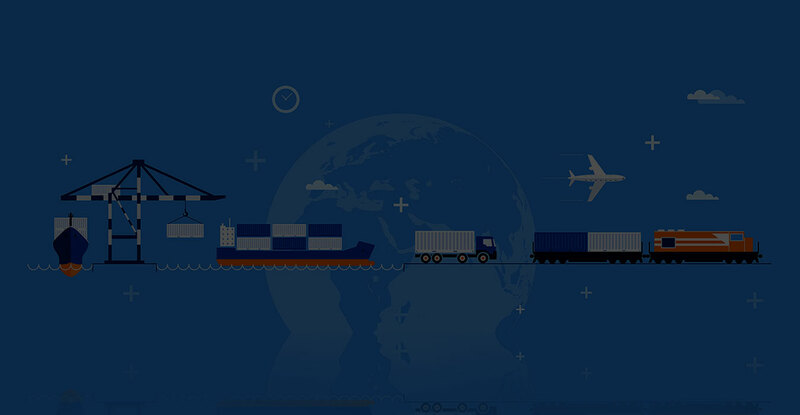 With a Global membership of over 33,000 from 33 countries across the Globe, CILT provides a professional identity to those in the ever expanding Logistics and Transport sector. It is a strong, active and a unified professional association that is able to speak with authority on strategic issues affecting businesses and people in the industry and support their careers. CILT Sri Lanka was established in 1984 and incorporated by the parliamentary act no. 08 of 2000. In 2012, The Council of Trustees of the CILT upgraded the status of CILT Sri Lanka from a Branch to a Territory. In doing so the Council of Trustees recognized the high standards of performance, governance and membership development evidenced in CILT Sri Lanka over the past several years. Admission for 1st batch is closed for the current year. 2nd batch admission started- only limited seats are available. Hurry !